I want to start off this review by saying, This book is absolutely gorgeous! 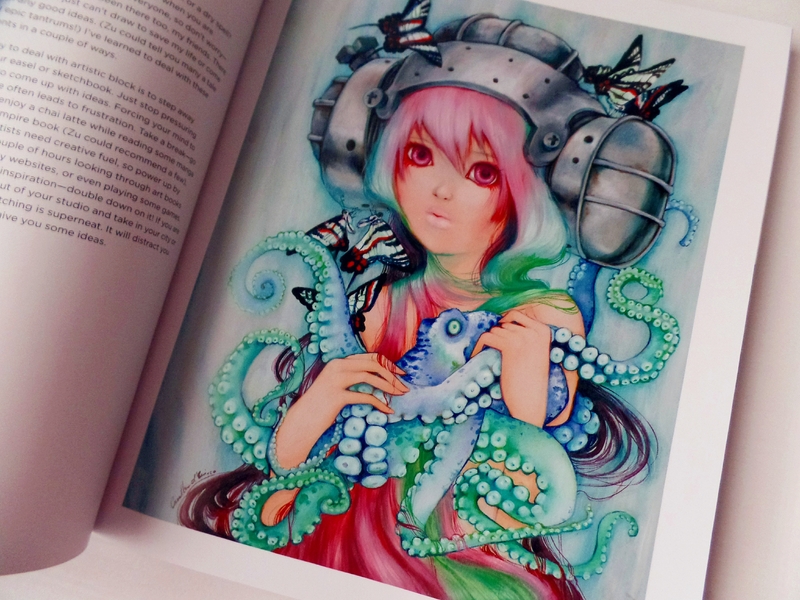 Camilla d’errico is an unbelievable artist. Her twist on surrealism is just breathtaking. I love how she adds animals, food or even the look of elements to her paintings. 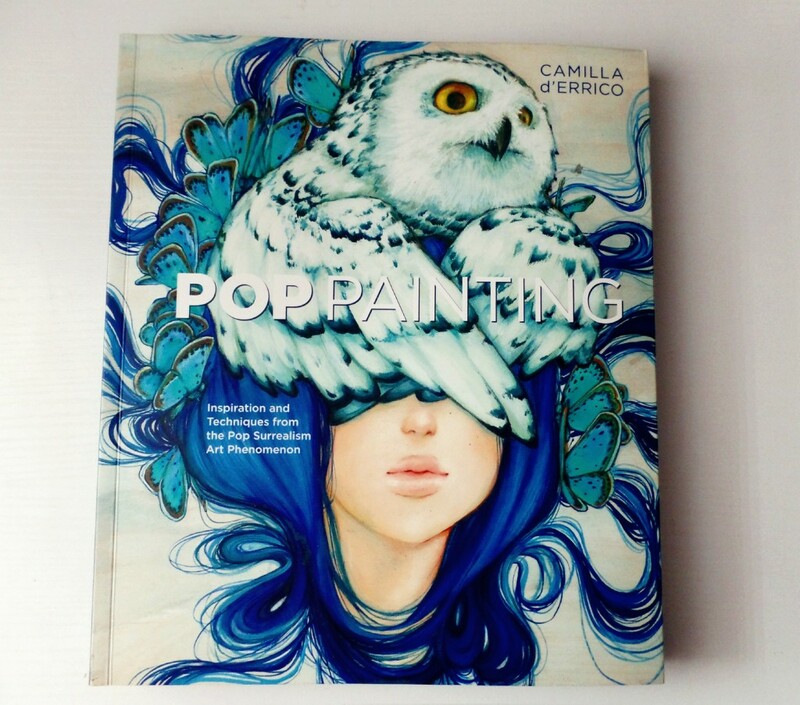 The color of the cover just pops at you, which would make this book the perfect companion for any coffee table. The girls in in her paintings each have her signature pouty lips and textured hair. And she explains her techniques in such a way, you may not able to fully mimic but you may even discover your own technique in the process. 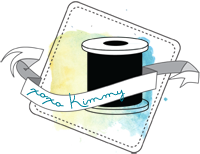 She offers the reader tips and answers questions you may have concerning tools and materials. Helpful for anyone aspiring to paint or anyone interested in the topic of painting. The book is broken into two parts and then into different chapters that concentrate on certain areas such as, sketching, blending, composition…ect. In my opinion this would better assist someone who has some beginners knowledge in drawing or painting. But don’t let that deter you from testing out her advice even with no arty knowledge. For my second book, I chose Design the Life You Love by Ayse Birsel. This was something that caught my attention right away, the title had this positive message without the cover giving away too much of what was in store once cracking the spine. I’m a huge fan of positive books with doodles in them, however, I’m not sure this particular book is for me. I personally, would probably prefer if this book was only self-help rather than a hands-on type of self-help. I know it acts as a reminder of the fact that you cannot just take another person’s experience and call it your own or have it work the same way for you. Life doesn’t work like that.This guide does it’s best to create a way to brainstorm, a way to relearn certain things like not feeling guilty for rambling or doodling on the corner of each page.There are prompts throughout the book that sort of make it feel like school. They give you a “time limit” but I feel like it’s the book giving the reader permission to allow time for things in general and not just for this tiny prompt. The purpose of this book is to give you an insight and perhaps look at things differently. An outside of the box/comfort zone insight. Now don’t get me wrong, this book has a lovely idea behind it and I plan on giving it more time before I write it off as “not for me”. But at the moment I’m still on the fence about it. Not due to lack of interesting topics, because the interactive part is fun, but perhaps my mood is just not in the right place for this particular book even though I’m in the need of some positive energy and this book has plenty of that. 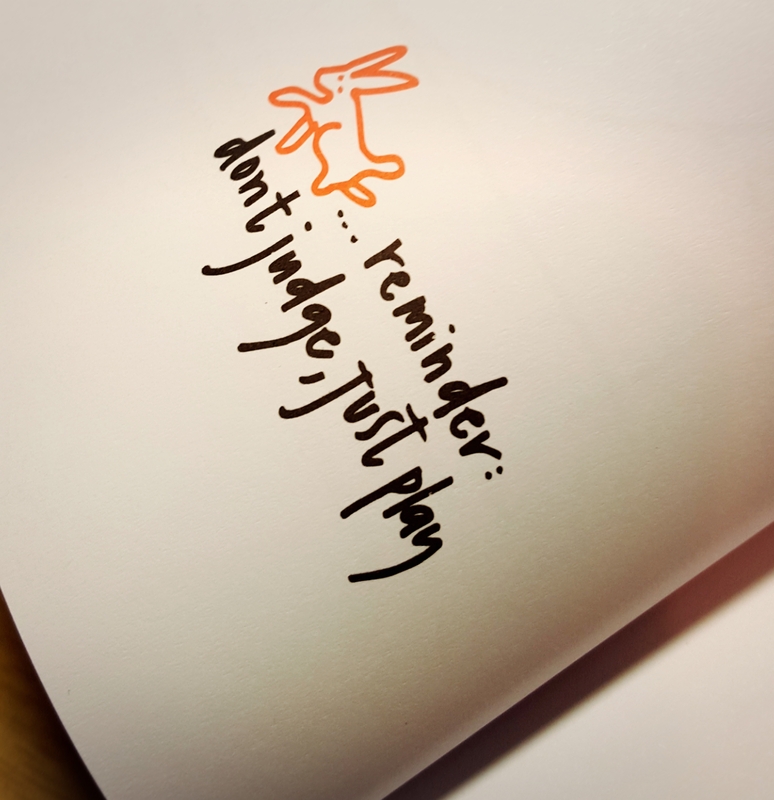 I just need to make the time for it and to remember just to play sometimes. 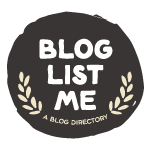 * I received this book from Blogging for Books for this review. I’m excited to share a review with you today. I’m sure most of you are aware of the recent trend that are…”adult” coloring books. I’m not a fan of this term, being creative should be acceptable for all ages. 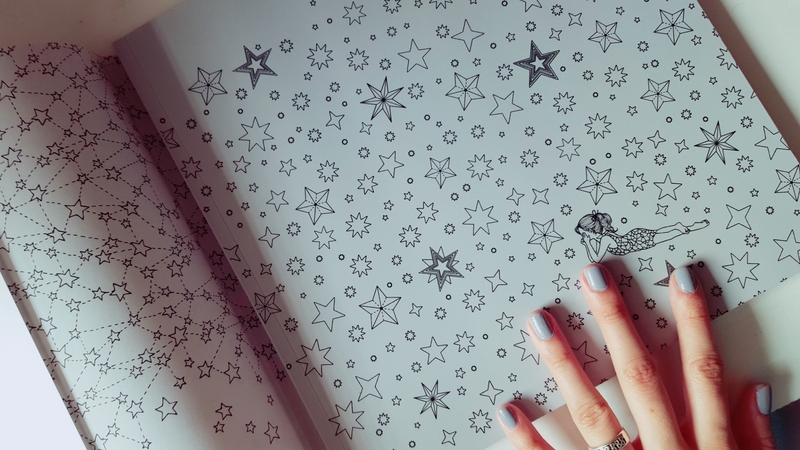 Not all of us can express ourselves creatively, and these coloring books can give you a project without needing a time frame or an end product. You’re free to color and take your time, like you did when you were younger. 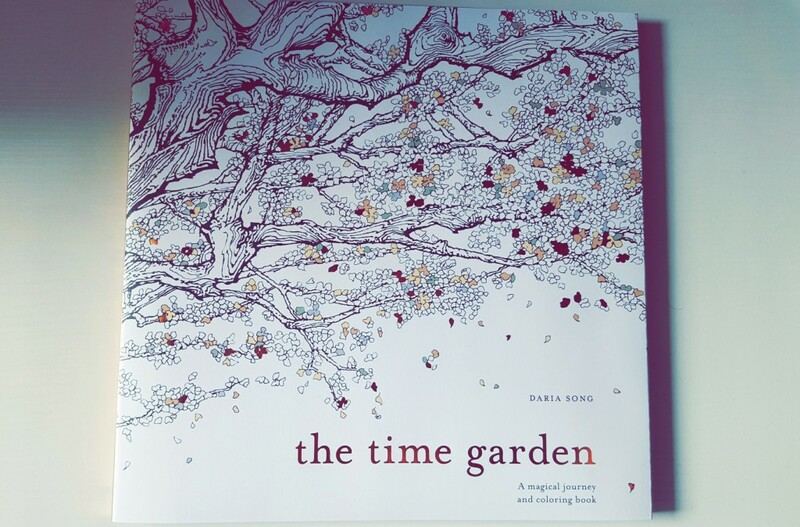 The Time Garden is a beautiful coloring book, on my version there is a beautifully drawn tree which is featured more throughout the book. The dust jacket has gold foiling on the title and so do some of the leaves that sprinkle the front of the book. 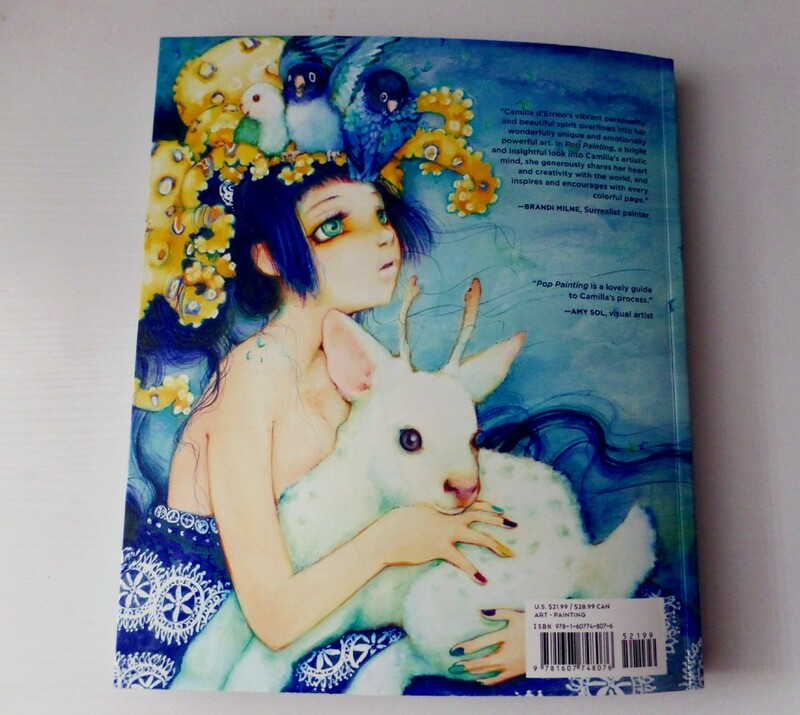 Moving on to the inside, the actual cover has a field of stars surrounding a little girl,her face hidden. This page is also featured later on in the book, so you can have the thrill of coloring this page. One thing I feel that sets this book apart from a few of the other coloring books out in the market is that there is a story that is connected to it. A story that makes me think- Nutcracker meets Alice in Wonderland yet at the same time maintaining it’s own story. The pages are a nice weight, I’m using a mixture of color pencil and my Staedtler Triplus fine-liner to color in the pages. If you press too hard or go over an already colored section too many times with the fine-liner there may be bleeding on the other side. But you shouldn’t run into that problem, too often. The only reason I ran into it was because I didn’t like my color choice and went over it with another color. I have yet to try using watercolor, but since the paper isn’t a certain type of texture, I wouldn’t recommend using that medium. But ultimately it’s up to you. I don’t want to ruin the book by showing you each page, so at the bottom is a teaser flip through of it’s pages. I also wanted to share what’s written on the back of the book, if this plus the gorgeous illustrations doesn’t make you fall in love with this book then I don’t know what will. The Time Garden will sweep you away into a whimsical cuckoo clock-inspired world, created in intricate pen and ink by Korean artist Daria Song. Journey through the doors of the clock into its inky innerworkings to discover a magical land of clock gears, rooftops, starry skies, and giant flying owls-all ready for you to customize with whatever colors you can dream up. When the clock strikes midnight, you’ll wonder, was it all a dream? *I received this book from Blogging for Books for this review. I’ve enjoyed coloring in this book, and it’s been a nice way to clear my head and just spend a little time daydreaming. I think we often forget to take some time for ourselves. 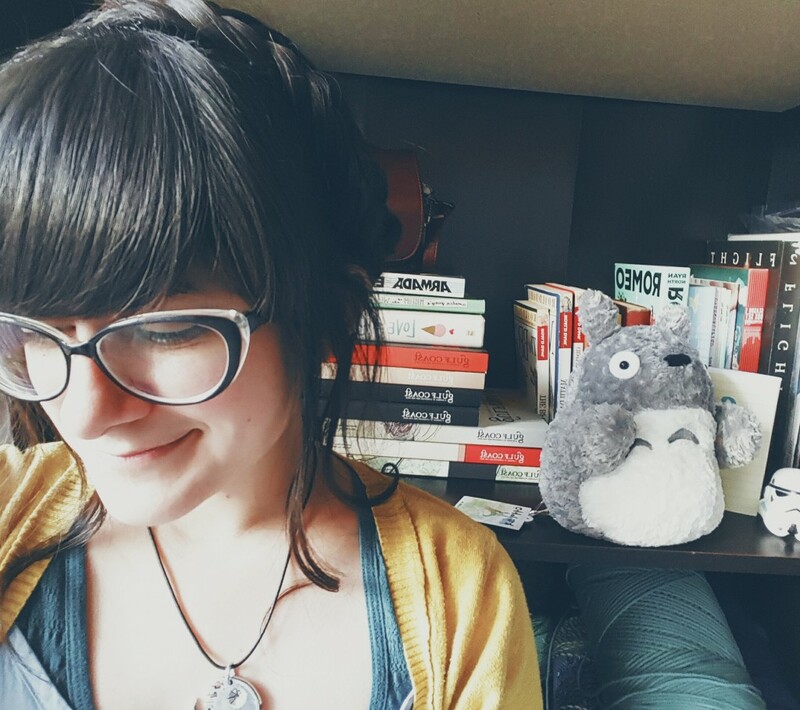 I chose this book for my first review because I wanted something crafty and fun. Keep your eyes open for the next one, let me know in the comments if you enjoy this or other coloring books. But it’s quite alright if you don’t.